The REACH Center is a safe and sober environment open to anyone wanting to participate in a recovery-based, supportive community. REACH is a reminder of our recovery, empowerment, advocacy, community, and hope. REACH services are offered free of charge or time constraints. The REACH Center is intended to be a supplement to traditional mental health services, and is not a replacement for medical or clinical services. We use certified peer support specialists to help support people wanting to experience healing, recovery, and wellness. Peer specialists are people who have experienced mental health or addiction struggles, and are now in recovery. Peers use their experience with mental health recovery to provide hope, support, and inspiration to those looking to recover. The REACH Center offer self-directed participation in groups, classes, and activities. All groups are facilitated by peers, who draw upon their personal experience to help others reach their personal recovery goals. The Wellness Recovery Action Plan® or WRAP®, is a self-designed prevention and wellness process that anyone can use to get well, stay well and make their life the way they want it to be. We provide information and guidance to individuals wanting to complete mental health advanced directives. The REACH center offers computers and printers to help you work towards your goals. We try our best to assist you with job and housing applications, building resumes and cover letters, and online assessments. The REACH Center offers a variety of opportunities to connect with yourself and the broader community. 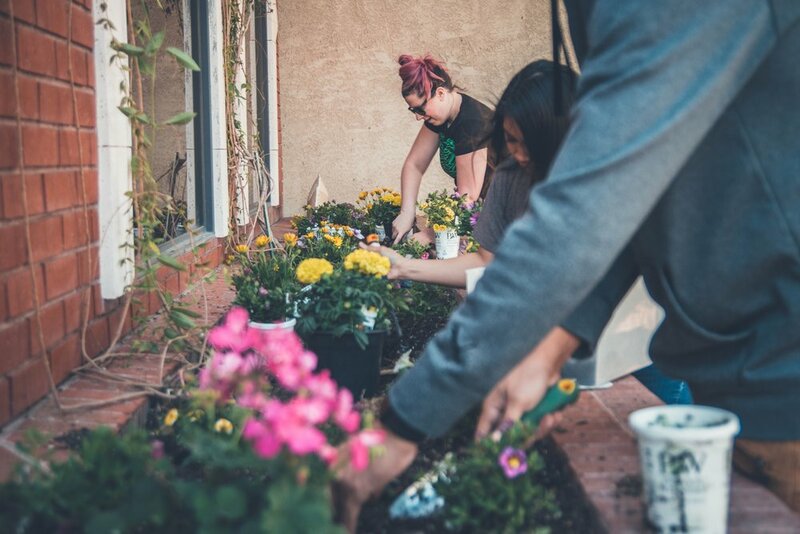 At the REACH Center you can participate in crafts and games, community gatherings, wellness activities such as group walks and yoga classes, and outings in the community. Whether you’re having a tough day or need help finding resources, CVAB’s peer specialists can offer a helping hand. The REACH Center offers self-directed participation in groups, classes and activities. All groups are facilitated by peers, who draw upon their personal experience in recovery to help others reach their recovery and wellness goals. The REACH Center offers a variety of volunteer opportunities for those interested in gaining new skills and getting more involved with the CVAB Community. We seek out new volunteers on a regular basis to man the front desk, manage our coffee cart, and even help to facilitate groups and classes. If you're interested in volunteering stop by the REACH Center to learn more about volunteer opportunities. Daily CA Meetings from 12pm-1pm and daily Latino AA meetings (Habla hispana) from 5:00pm-6:00pm.